Fulcrum - Pre Workout Energy Supplement - Vaxxen Labs, Inc.
Push yourself beyond the limit. Your time in the gym should be intense. You’re not there to talk. You’re there to put in the necessary work and leave. 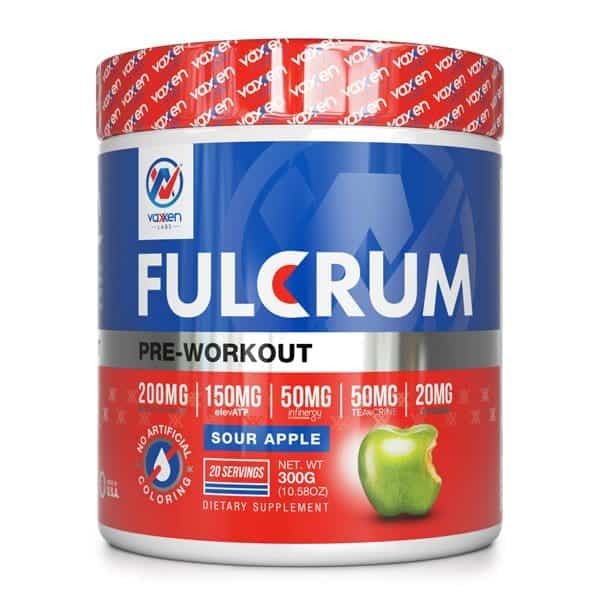 Fulcrum provides unmatched energy, mental focus, muscle-swelling pumps, and superior performance to get you through the most grueling workouts. Elevate your training with Fulcrum! The word FULCRUM is defined as “a thing that plays a central or essential role in an activity or situation.” And that’s exactly what Vaxxen Labs Fulcrum does when it comes to your training. Your entire workout will be changed and elevated with just one scoop. In fact, you might even want to start off with half of a scoop to assess your tolerance – that’s how powerful the formula is. With five patented and clinically-researched ingredients included in the formula, Fulcrum can help you demolish your personal bests on your way to achieving the ultimate physique. Containing ingredients so potent that you can achieve unimaginable muscle pumps, clean energy, enhanced performance, rapid recovery and endurance, and the ability to push yourself harder and longer each and every time you step into the gym. With Fulcrum, all excuses are thrown out the window. All-in-one pre-workout powerhouse to fuel serious workouts. Dial in your training with a strong mind-muscle connection and establish tunnel vision during your workouts to stimulate more muscle fiber recruitment and help build the size you demand. Work out with more intensity and elevate your training by improving energy levels – boosting strength and stamina to improve performance and help you achieve your goals. Achieve skin-tightening pumps that accentuate your lean and muscular physique and vascularity. 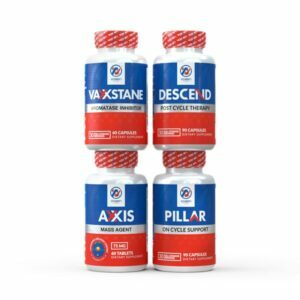 Enhance blood flow out to the working muscles to supply them with the nutrients they need to allow you to push harder and longer during intense workouts. This purine alkaloid is found in the Kucha tea leaf and can help enhance focus, energy, alertness, and mood without elevating your heart rate or blood pressure. Dynamine® accomplishes this by stimulating the release of epinephrine and norepinephrine (energy neurotransmitters). 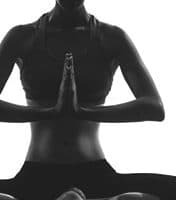 It also has the ability to activate dopamine receptors to enhance the body’s dopamine response and release to improve cognitive functioning and bodily functions. Dynamine® can help improve (1) energy production, (2) mental focus, (3) mind-muscle connection, (4) lipolysis (fat-burning), (5) mood, (6) oxygen utilization, and (7) skeletal muscle contraction. ATP (Adenosine triphosphate) production is extremely important to athletes and weightlifters alike when it comes to performing at a high level. ElevATP® is a clinically-researched extract combination of apple and ancient fossilized plants (peat) that spark the production of ATP (the body’s predominant source of energy). 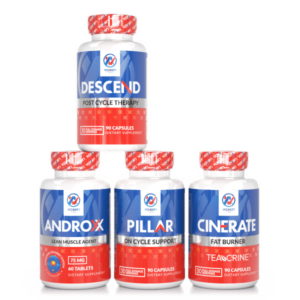 ElevATP® can help you (1) enhance your performance, (2) improve body composition, (3) boost power output, (4) reduce the effects of fatigue, and (5) increase strength and lean muscle gains. Teacrine® is a supplement naturally found in Kucha tea (specifically Camilla assamica), coffee, as well as some exotic fruits. 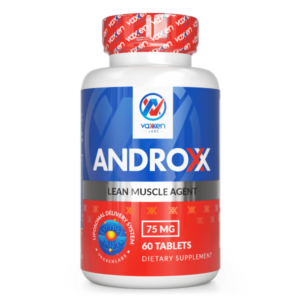 It helps reduce fatigue by inhibiting adenosine and extends the ability to train at peak performance over a longer duration. The structure of Teacrine® is similar to that of caffeine which can help increase energy levels and stamina. An added benefit of Teacrine® is that it allows for a slower and smoother energy source that prevents the unpleasant side effects of jitters, irritability, and the unsightly crash that follows. 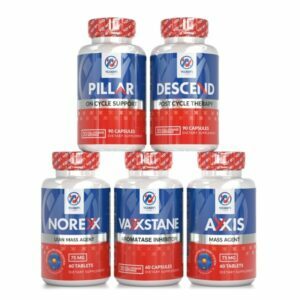 This innovative supplement is capable of providing (1) lasting energy, (2) heightened mental focus, (3) improved mood, and (4) increased motivation. Unlike caffeine anhydrous, Infinergy® (di-caffeine malate) provides lasting energy without the jitters by combining caffeine and malic acid. This combination, thanks to malic acid, helps buffer caffeine by protecting the stomach from the typical discomfort associated with caffeine anhydrous. Infinergy® provides (1) smoother and better digestion of caffeine, (2) lasting energy without a crash, (3) a boost in mental concentration and focus, (4) improved performance, and (5) enhanced thermogenesis (the ability for the body to produce heat). Capsorb® (Sodium caprate) is a bioavailability booster and nutrient absorption promoter that helps the body retain and utilize the ingredients found in a supplement formula. Unfortunately, many powerful ingredients in products are never fully absorbed to produce the most benefits and are eliminated by the body without ever being shuttled to the working muscles to be utilized. 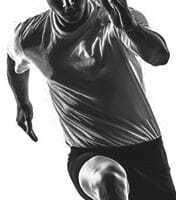 Capsorb® is essential for allowing you to (1) fully absorb and unlock the total effect of each ingredient found in a formulation, (2) attain superior performance, (3) achieve explosive energy, and (4) maintain extraordinary endurance. 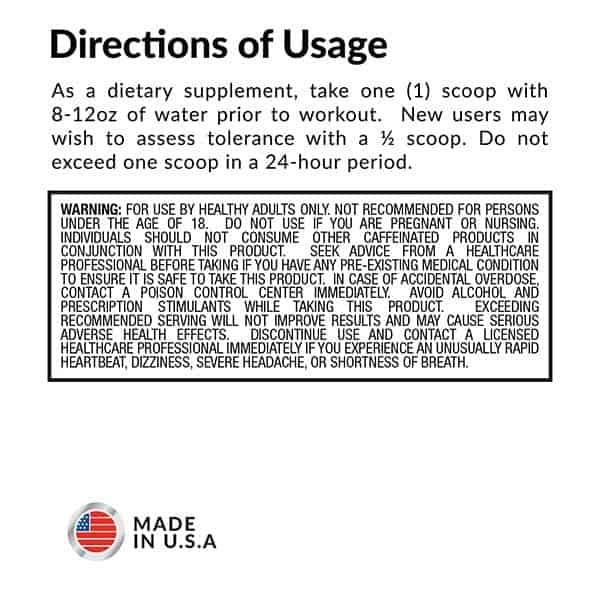 As a dietary supplement mix 1 scoop in 8-10oz. of water 15-20 minutes before your workout on training days. Due to extreme potency one should assess tolerance with ½ scoop. For use by healthy adults only, not recommended for persons under the age of 18. Do not use if you are pregnant or nursing. Individuals should not consume other caffeinated products in conjunction with this product. Seek advice from a healthcare professional if you have any preexisting medical condition to ensure it is safe to take this product. Keep out of reach of children. How is Fulcrum different than other pre-workout supplements on the market? Here’s the honest truth. 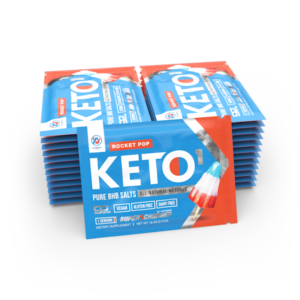 You won’t find any other product on the market with 19 fully dosed ingredients, no proprietary blends, and five trademarked ingredients. We’ve combined the elements necessary for explosive pumps, laser focus, and long-lasting energy WITHOUT the dreaded crash. Fulcrum is a versatile product that can fit anywhere into your daily routine. When should I take Fulcrum? Take the recommended dose 30 minutes prior to your workout. You can take it with or without food. How much total caffeine is in Fulcrum? 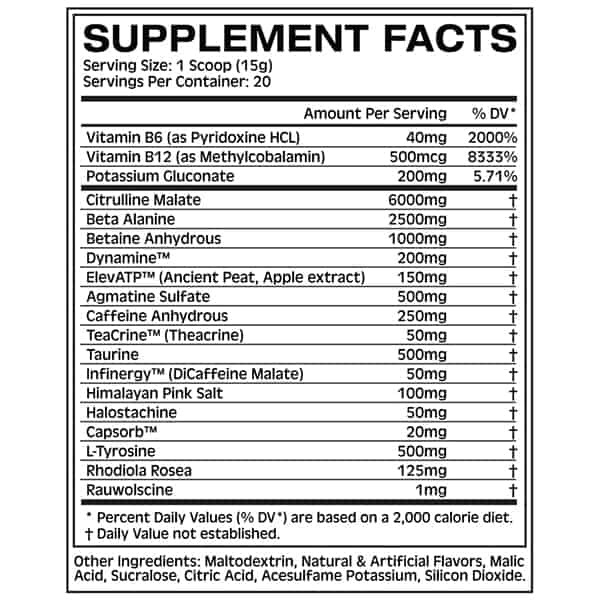 There are 287mg of active caffeine in 1 serving/scoop of Fulcrum. Will Fulcrum cause me to fail a drug test? There are no banned substances or ingredients in Fulcrum that will cause a positive or false positive on any drug test. 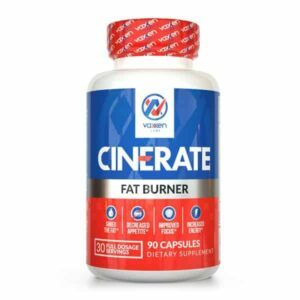 I’m currently taking your fat burner (Cinerate). Can I still take Fulcrum? Given the extreme potency and heavy stimulant load, we recommend spacing them 4-6 hours apart. I work out late at night. Can I still take Fulcrum? We advise against taking Fulcrum near bedtime given its caffeine and stimulant contents. What is the tingling feeling from? Don’t worry, that’s just the Beta Alanine phenomenon known as “paresthesia” and is completely normally and safe. 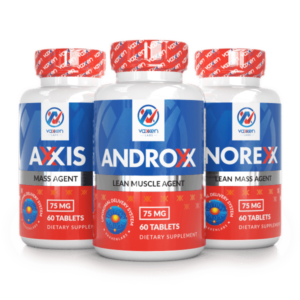 It is caused by the clinical dosage of Beta Alanine needed to unlock its amazing benefits such as: aerobic endurance, muscle mass, strength, and power output.